Home / News / Features / Are You Worried About Falling and Injuries from Falls? The Clearfield County Area Agency on Aging Inc. will be offering a PDA Evidenced–Based Program, Healthy Steps in Motion (HSIM), for age 50 and older adults. The HSIM class consists of eight sessions. Each workshop starts with a warm-up, which is followed by strength and balance exercises and concludes with a cool down stretch. increase awareness of risk for falls. 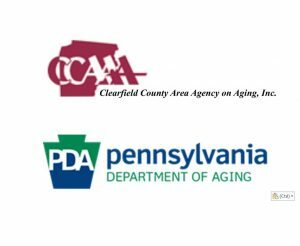 Classes are free and will be held at Park Avenue Towers, 420 Park Ave., Curwensville, on Tuesdays, Jan. 8, 15, 22, 29, Feb. 5, 12, 19 and 26 from 11 a.m. until 12 p.m. Please plan to attend every session to get the full benefit of the course. Act now – class size is limited. For information or to register, please call Shelia at 814-236-1526.